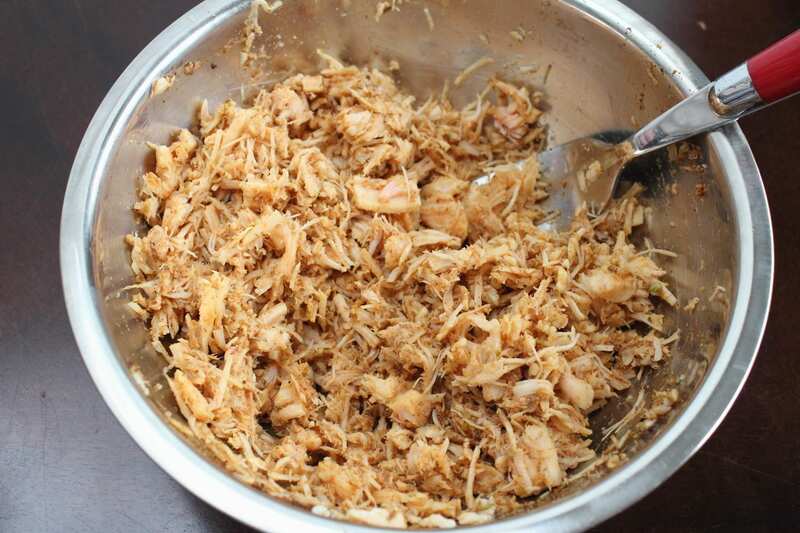 In a bowl combine the Chicken and Spices. Add in the Cheese and stir to combine. Divide the mixture into 12 even amounts. 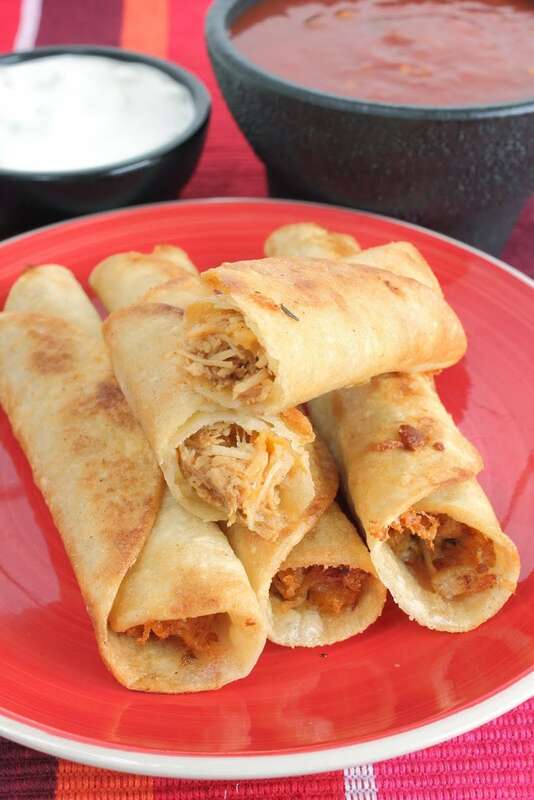 Warm the tortillas slightly in the microwave 2-3 at a time wrapped in a moist paper towel for 15 seconds, this makes them more pliable when rolling. Place the filling in the tortilla about 1/3 of the way across. 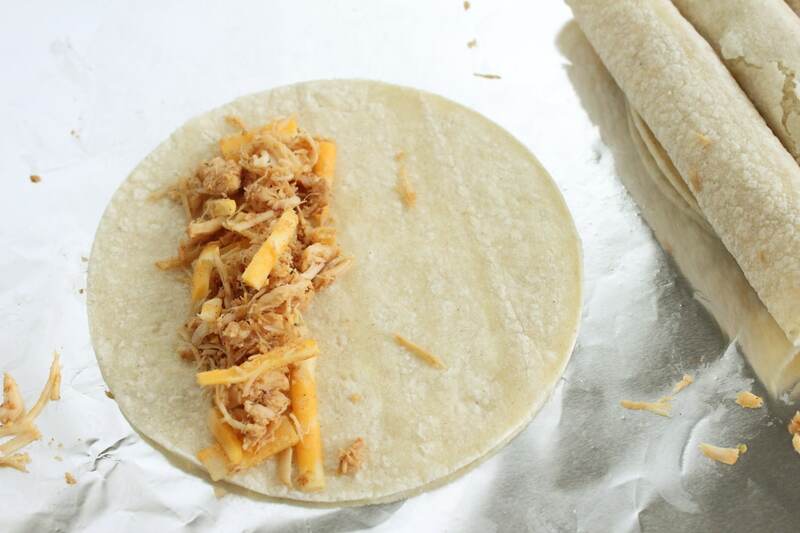 Take the short side of the tortilla over the filling and use it to pull the filling into the flap, then roll tightly. Lay seam side down. You can use a tooth pick to hold it, but it isn’t necessary if you are careful. Heat ½ – ¾ inch of oil over medium high heat. You want 350˚. Adjust the heat to maintain temperature. 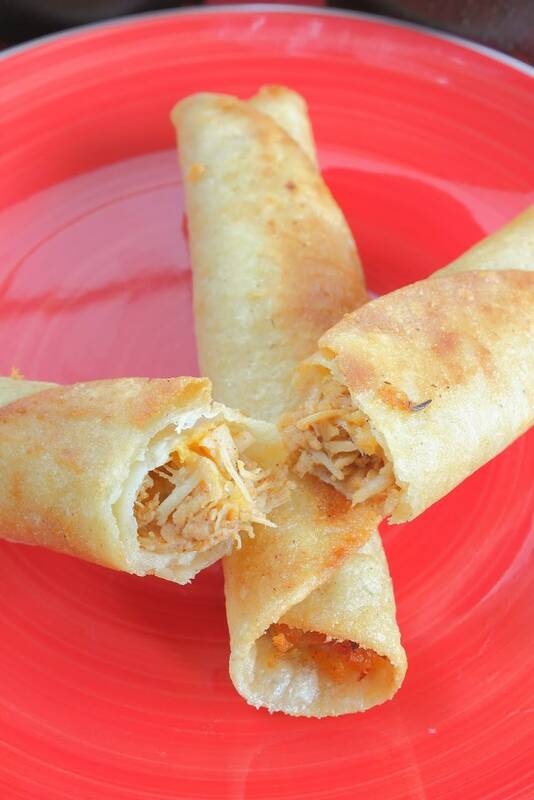 Place the rolled taquitos seam side down into the oil 2-3 at a time and let cook about 30 seconds. Using tongs gently roll them to cook the tops an additional 20-30 seconds. Remove and drain on a paper towel.